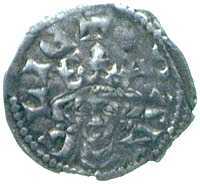 When Edward I started the recoinage of 1279, Newcastle upon Tyne was not one of the cities granted an exchange. 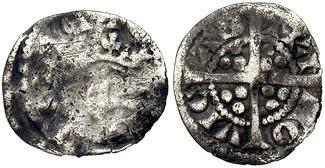 But, it was opened in mid 1280 to relieve the overworked London mint, to facilitate the exchange of new money¹ and to distribute coins to the army involved in Scottish campaigns. The mint closed a year later. The mint produced few farthings and less than a dozen examples have been found. 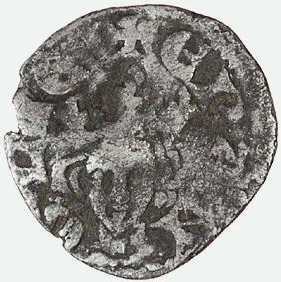 This issue of farthings was also produced at the regional "royal" mints of Bristol, Lincoln and York. Crown as Types 8-9, with bust to edge of flan. 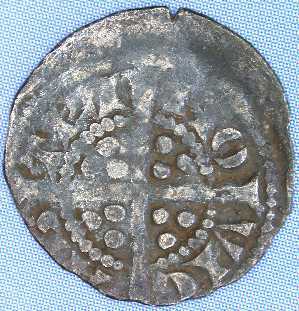 (Jan. '02) A very fine example of this coin (first photo) was sold by CNG Triton V sale, lot 2458; ex Conte; ex J.J. North; bt Spink 1983; said to have been found in East Anglia. 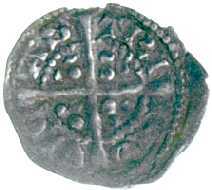 In 2002 it was one of only two coins known. 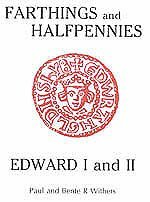 This published: J.J. North, 'An unpublished farthing of Edward I', British Numismatic Journal 52 (1982), pp. 242-3; SCBI 39, 1016. Sold to the Fitzwilliam Museum, Cambridge for $1000. (June '03) A poor/fair example of this coin (second photo) was sold to the collector Timothy D. Cook by CNG, lot 182, for $66. 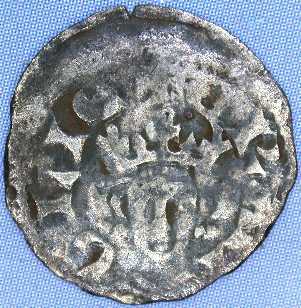 (July '05) A fair example of this coin (forth photo) was sold by DNW, lot 184, for £130. (July '06) A fair example of this coin (fifth photo) failed to reach the reserve on eBay and was sold by DNW (Sept '06). 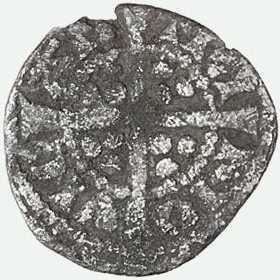 (Aug '06) A fine example of this coin was sold on eBay for £710.